Entry Guard Systems was founded in 1982 as a residential security company. Entry Guard Systems’ first owner moved into the commercial access market in the early 1990’s, and shortly after added Parking Access and Revenue Control (PARC) equipment to Entry Guard Systems’ list of products and services. Over the next 15 years, Entry Guard Systems built a strong team of technicians and a reputation for high-quality service, while expanding its coverage area outside Central Virginia to include Hampton Roads and Roanoke. 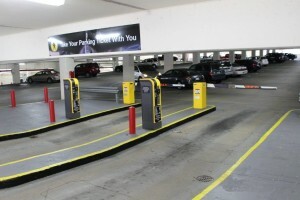 Entry Guard Systems has installed systems in, and provides service for the majority of parking decks in the Greater Richmond area, as far west as Blacksburg and Roanoke, north to Winchester and Southeast to Hampton Roads. All along, Frank Kollmansperger’s and the Entry Guard Systems staff’s commitment to providing outstanding service and top-quality products has remained their number one priority.